I ran into some issues getting the Lucee Tomcat 8.5 service to start on with Java 10.0.2 on a Windows 2016 Server. I was getting errors in the commons-daemon log file like: CreateJavaVM Failed CreateJavaVM Failed The system cannot find the file specified. Every so often you run into an issue where you need to import a certificate signing authority's certificate into Java's cacerts certificate authority file. Oracle does a update the cacerts file every so often, but they never seam to be as up to date as a browser like FireFox. Sun recently published a new whitepaper called Java Tuning. 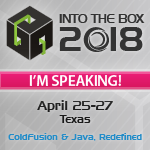 It should be of interest to anyone doing performance tuning on ColdFusion server and ofcourse any java application. Doug Hughes has posted a very clever technique for allowing you to run Java classes without adding them to your classpath. This means that people who build ColdFusion apps that include java classes can make them super easy to install. As part of Java EE 5.0 servlets will be undergoing a maintenance release. The first patchset for Java 1.5 on FreeBSD has been released. Greg Lewis has released the first patchset (patchlevel 1) for the JDK" 1.5.0 software. This is initial patchset and suitable for early testers and developers. Sun has released (for free) a very cool program called Visual GC 2.0 in their jvmstat toolkit (via: Moazam Raja). The tool will show you graphically how memory is organized into generation in your JVM. Now that you have had a chance to read my outline of garbage collection tuning in java. You should be asking yourself how does this relate to my ColdFusion server. Or maybe you just wondered what Garbage Collection has to do with ColdFusion Servers. Every so often I come across the document: Tuning Garbage Collection, and I attempt to read all of it. The document is kind of hard to digest, so this time I created an outline of the Tuning Garbage Collection on the Java 1.4.2 Hotspot JVM document. Macromedia recently updated their JDBC driver technote, but I wasn't sure if I already had the 3.3 driver installed (since they may have just updated the text in the technote). Many people have had the need for a ColdFusion page to sleep, typically between iterations of a loop. There is a tag called CFX_Sleep in the Tag Gallery, but in ColdFusion MX you don't need a CFX tag to make the current processing thread sleep using the static sleep method on the java.lang.